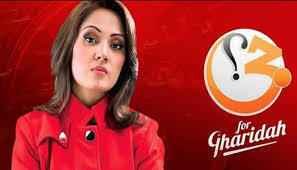 ISLAMABAD: Female TV journalist Gharidah Farooqi is harassed, intimidated and threatened for her online opinion and “facts” she believes a journalist should be reporting. 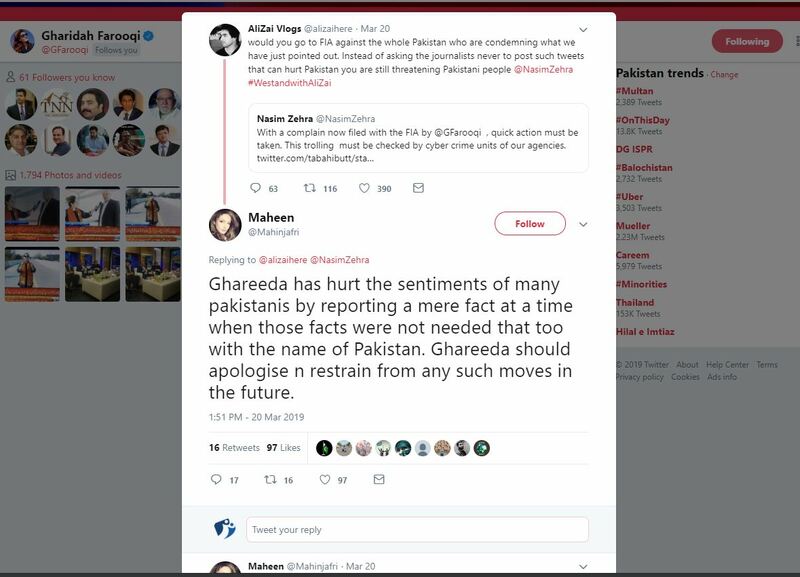 “Open death threats, live character assassination and online harassment is going on for more than a week and no government minister or authority assured Gharidah Farooqi yet of protection or action against these online trolls. This is regretful as well as shameful,” Freedom Network, Pakistan’s first media watchdog organization, said in its 25 March 2019 Press Freedom Alert. “This statement may be read as notice to the government that if anything goes wrong with Gharidah Farooqi after online harassment relevant authorities and the government itself will be held accountable,” the Press Freedom Alert warned the government of indifference to her situation. “The government is under moral, legal and constitutional obligation to protect Freedom of Expression and her case relates to Freedom of Expression,” it added. Gharidah, who hosts political talk-show on Aaj News channel, is facing the situation since March 14 as she tweeted that the Christchurch mosque attacker visited Pakistan in 2018. Gharidah Farooqi told Freedom Network that online trolls were sending her “death threats” and her calls for support and protection from the government were not responded. She also brought these threatening messages to notice of Federal Information Minister Fawad Chaudhry. However, the journalist received no message from top government authorities and she is living in a state of fears. “I will fight this case and will fight these obnoxious bigots till justice is served,” the female journalist vowed. Online trolling targets journalists and journalism in Pakistan quite regularly. However, female journalists look more vulnerable when they are attacked for one reason or another.